Watermelon Feta and Balsamic "Pizzas"
These savory watermelon “pizzas” are such a fun way to create one of my favorite summer salads, a combination of watermelon, feta, olives and balsamic. With only 5 ingredients, they aresimple to make and would go great as a side to anything you’re grilling. Yesterday I made salmon on the grill and served two wedges on the side, it was a perfect summer meal. I seem to be on a Mediterranean kick this week without even realizing it. Maybe it’s the large hunk of Feta I have in my fridge, but you can really have fun with these. 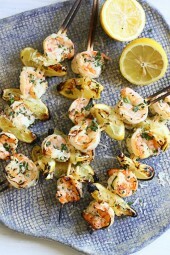 Next time I might add some arugula and slivered red onion on top, maybe even grilled shrimp to make this an appetizer. This idea was inspired from a recipe I saw in the Superfood Snacks Cookbook. They made a Watermelon Pizza topped with more fruit, nut and goji berries which you can see pictured below. 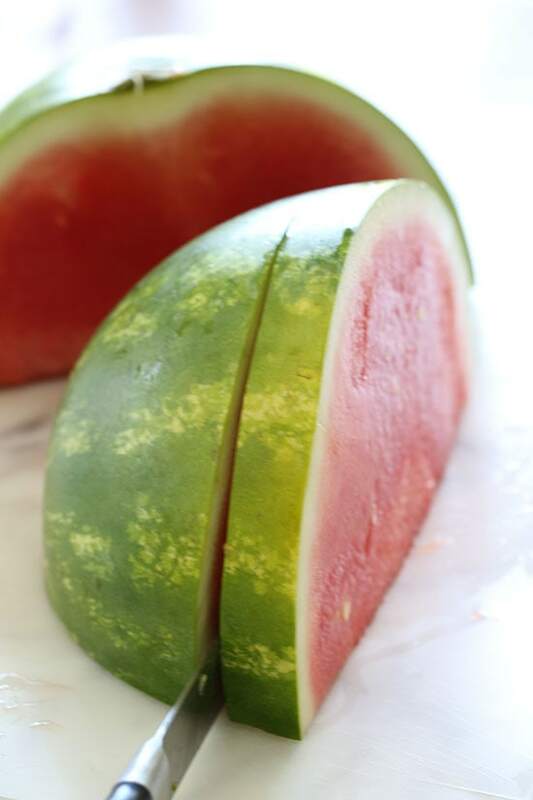 To make this in a perfect pizza shape, I bought a round watermelon, cut it in half, then laid the flat part on the cutting board and sliced a 1-inch slice from each half. Just 5 ingredients for this delicious savory summer side or appetizer! So light and refreshing, great with just about anything you grill! It looks like an original pizza. Have a great Idea. I’ll be serving watermelon pizza upcoming birthday vacation. 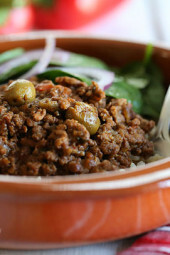 Gina,I absolutely LOVE your blog, AND cook books. Everything I make is received so favorably by everyone, always. I brag to all about you and Skinny Taste. I’m someone who bought numerous copies of your first cookbook and gave to all my lady friends. Not every recipe is for everyone! I appreciate your honesty! What a perfect summer time appetizer! Light, easy and tasty! I added even more mint and it was quite refreshing! My balsamic glaze seemed rather heavy and seemed to dominate the pizza (I couldn’t get it to drizzle like your beautiful picture) so I cut it with some pomegranate balsamic vinegar to lighten up the flavor. I will keep trying to perfect your drizzle! Always nice to take an appetizer everyone devours! Thanks you! The recipes all look amazing! 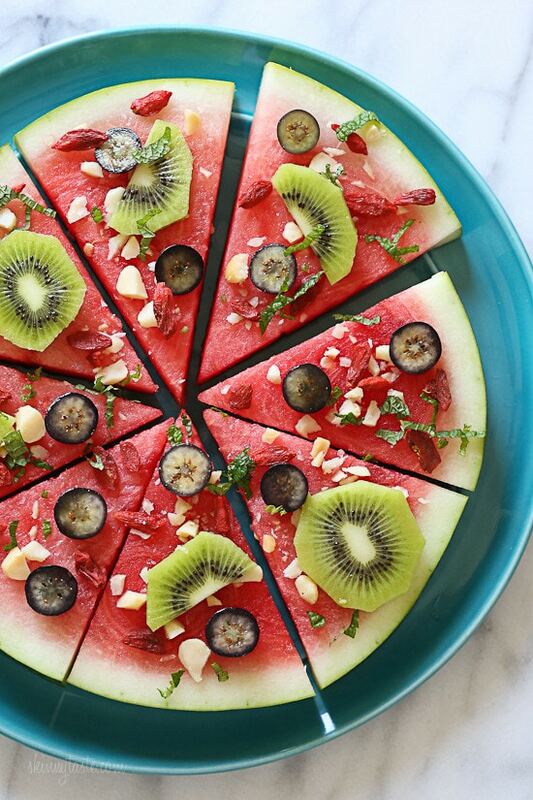 I’ll be serving watermelon pizza this Canada day! Pingback: 13 watermelon hacks & serving ideas to try this summer. BEST Balsamic glaze is made by Nonna Pia, http://nonnapias.com/ its GF and apure reduction product no thickeners, several different flavours too! Wowsers! The recipe looks amazing. Kiwi and watermelon, can't beat that during the summer. What a fun, creative and easy idea! 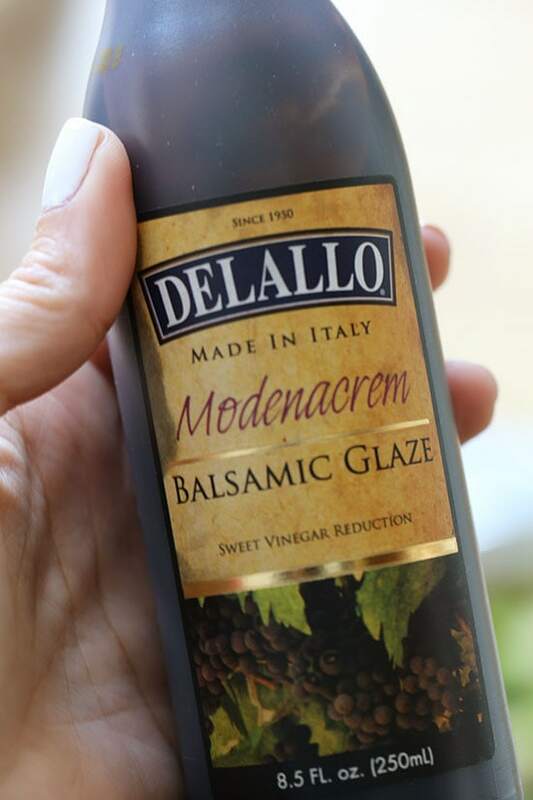 Where does one purchase the Balsamic Glaze? This looks divine! We are to have a Luau where we live and this would make a wonderful dish to make and bring….Can't get any more Luau-ie than this….. This is the perfect summer BBQ recipe! We're sharing it with our community! This is seriously such a fun and cute idea! And I love that it is completely party ready! Come see my picks for the perfect Summer ready LBD's! You are so creative… thank you! These are great! Iv'e tried these before and absolutely LOVED it. Yum! Okay, wow! I absolutely love your blog. You make healthy food actually LOOK like something I would want to eat! I'm definitely trying this. This pizza I could eat forver. Wonderfull idea! Great idea! 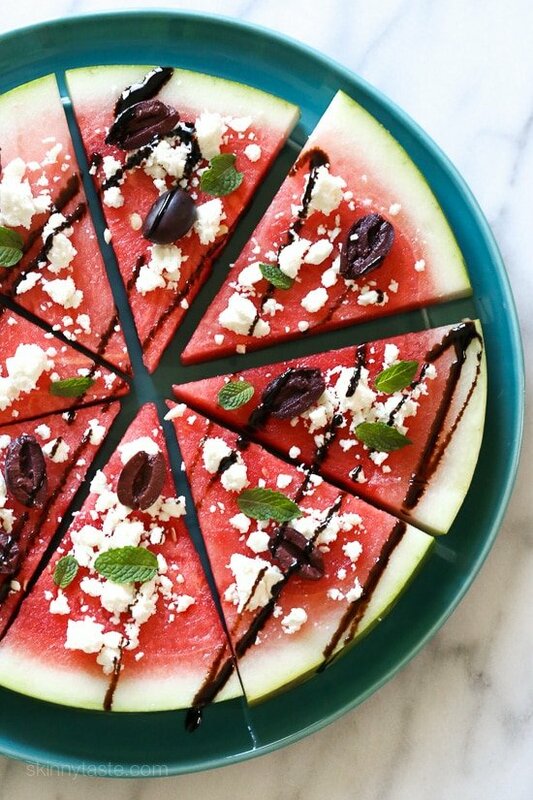 Look absolutely amazing these mouthwatering watermelon pizzas! Im gonna make one with basil feta and mint! Well this looks amazing. Will have to try. Thanks! Festive and beautiful for entertaining! i love this idea Gina!!! I have a fresh water melon waiting for me at home. What I fun idea! I'll give it a try at my next BBQ! 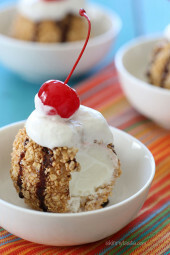 This looks so yummy… I'd have never thought to make this. It's the kind of lunch I wish I'd had today. Hungry now! Love this. If I took it to a party, how long does it hold up? In other words how long can it sit out before getting soggy? The feta draws out the liquid in the watermelon, so I wouldn’t put it on until serving. I'm SO excited that you posted this recipe! I saw you whipping it up on Snapchat, and it looked amazing! Can't wait to give it a try!